Cuti’s Diner is a diner game where your goal is to be as fast and efficient as possible. Imagine having to rush back and forth taking customer orders, cleaning tables, seating additional customers, and tossing bad orders. Does that sound daunting? In real life, it might be very difficult, but in Cuti’s Diner, that is the fun! The fast-paced gameplay and excitement of making tips – from being as fast as possible – makes the game a fun and addicting experience. Seeing your profits soar (and bank account grow) after a hard days work makes the exhausting effort of keeping up with all of your customers worth it. Momma’s Diner takes the fun and excitement of other diner games and doubles it! That’s right, now you control two characters at the same time, a waitress and a chef. The chef waits on people at the bar and cooks people’s orders, while the waitress waits and cleans tables. What makes this game excellent is that – by design – it requires more multitasking and quick thinking than similar games. As the chef, you have to choose the proper station for the customer’s order all while taking orders, and while concurrently controlling the waitress. The game makes for a fun and challenging experience because it is so chaotic, yet strategic at the same time. Diner Dash is a fun, fast-paced and exciting game that essentially spawned a genre. Most all diner games have copied or varied its tried and true formula. Diner Dash places you in the shoes of a waitress who needs to make some extra cash. What follows is a frantic diner game where your goal is to earn as much money as possible, while moving to better restaurants and upgrading each along the way. You can customize your waitress’ skills all while dealing with customers, taking orders, and taking out waste once they are finished. Diner Dash requires fast reflexes and patience, and if you can stick with it, it will be a worthwhile experience. In Diner City you are no longer a waitress inside of a restaurant. Instead, you are the owner of a chain of restaurants and have to maximize your profits. You are up against a rival restaurant chain and must beat them through upgrading your restaurant to maximize revenue and customer satisfaction. The game is an excellent choice for children because it teaches them some basic business schools such as the importance of employees and constantly improving your restaurant to beat the competition. The game is fun and challenging, but its primary appeal is in its fast-paced nature. Can you win and become the best restaurant in town? Penguin Diner 2 is the exciting sequel to the Diner Dash penguin variant Penguin Diner 1. Penguin Diner 2 takes place after our penguin protagonist has returned home (after earning enough money in Penguin Dash 1) and decides to start her own restaurant. The game has improved visuals and an additional level of speed and fluidness that make the experience that much more enjoyable. 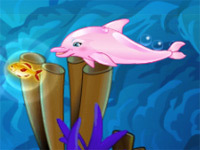 In addition, the game includes a large number of additional diner upgrades to choose from. You can now hire a chef, change your outfit, get decorations, and much more to make your job that much easier (especially on the more difficult levels). The game is an excellent choice if you are looking for fast-paced diner fun!